While the limits of human delivery were being reached, LBL and Mom of DIL were in the hospital waiting area. They passed the hours by becoming increasingly more slap happy. Political banter quickly degenerated into discussions of celebrity splits and whether Judge Judy would make the guy on the screen pay for his ex-girlfriend’s smashed car. The snack machine was employed numerous times, less for nutrients than for a way to alleviate boredom. Just as they had exhausted both themselves and all items in the snack machine, they were informed that DIL was being taken in for an emergency C-section. Now a new topic of conversation was introduced: how the human body, deprived of sleep and operating on the nutrition provided by Cheezits, would deal with a potentially serious situation. The answer was hysteria. At 10:03, LBL ran down the hall, followed by Mom of DIL. By the time the women reached the labor/delivery room, all bets were off. They ran into the room. Mom of DIL pushed the doctor aside, while LBL grabbed for the baby, hugged YC, and yelled “I love you so much!” to DIL. She was unaware that she was yelling in the direction of the entire surgical team. After awhile, LBL and Mom of DIL were sternly told to leave. “Mom of DIL turned to LBL and said, “We have to leave. Give me the baby. LBL and Mom of DIL then played “Pass the Newborn,” to the astonishment of the surgical team. LBL and Mom of DIL took one of Baby’s receiving blankets with them. The instructions were to repeatedly have Lucy sniff the blanket, as a way of acclimatizing her with the smell of Baby. LBL and Mom of DIL then had to retrieve the kids’ dog, a Golden (Lucy),who had been staying with friends who had two Goldens. YC texted the address to them, and they took off. First, they stopped at a burrito emporium and got a bunch of food. They put the food in the back seat. They arrived at the address they were given. A woman came to the door with a large Golden. “We’re here for the dog,” they announced. The woman got a very concerned look on her face and tried to shield the dog. LBL repeated, “We need to get the dog.” Before the woman could call 911, LBL and Mom of DIL realized they had the wrong address. They scurried back to the car. The woman double-locked her door and watched them drive away, from the safety her window. They found the correct address. This time, they knew they had the right house, because a much older women (mom of the dog owners) came to the door, flailing her frail arms, with a crazed expression on her face and three large Goldens jumping all over her body. “Won’t it be wonderfor for Lucy to get used to the scent of the baby?” Mom of DIL asked, as she saw LBL placing the blanket to her nose. LBL, still holding the receiving blanket up to her nose, inhaled deeply. “Not unless the baby smells like a burrito,” she answered. Just great! Any grandmother can relate. Okay…you outdid yourself on this one. ABSOLUTELY HYSTERICAL! !!! I’d follow you anywhere, Anonymous. Thanks for these comments. You were the entertainment! This will become a treasured family story. My son said that the baby will be able to tell these stories for years. I don’t know about her, but my son will certainly get mileage out of this. I don’t know about smelling like a burrito, but I often see newborns wrapped in in blankets like a burrito. They do look like little burritos, for sure. They are also delicious. I really needed the laughs this engendered! Great story! Thanks, Sienna. She is #6. I am grateful every single day for the bounty. You and your side-kick are too hysterical,,, went to the wrong house, OF COURSE. Too funny. This made me smile throughout. Congrats to all, mom, dad, grandma and the burrito. Thanks, Keith. A bounty of riches. Funny stuff, LR! Congrats on number 6! 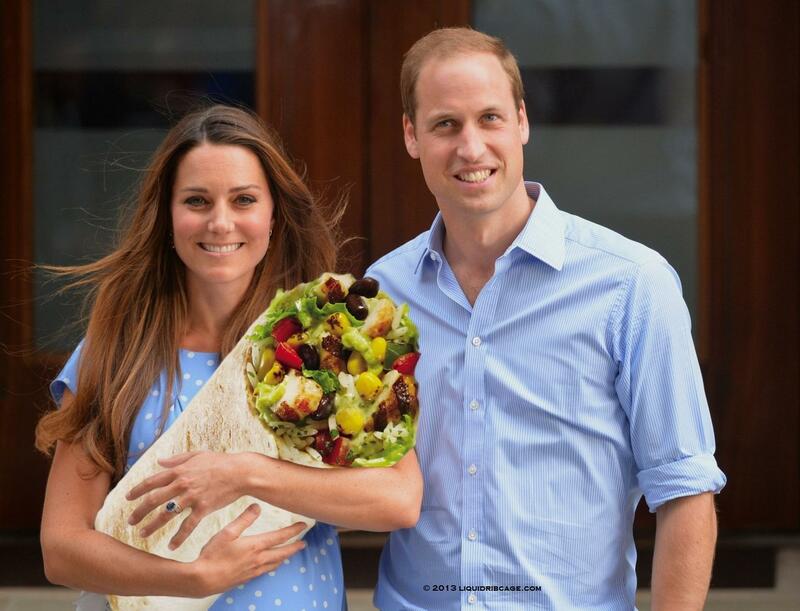 Congratulations on your fabulous, new burrito! I hope everyone is doing well. Thanks, Peg. All is well. I am overwhelmed at my good fortune. Hahahaha! Grandmas are a whole other breed of women! Congratulations on the new addition! I love the name Lucy!! Hahaha … for the Golden, not your granddaughter. Your story is contagious! Funny! And thanks. Sometimes, life bestows an abundance of riches. I’d love to see you and Mom of DIL in action hahahaaaaa. And congratulations on the new Baby! Thanks, Marion. We are already planning future antics. This post was hilarious! Best wishes for all going forward!